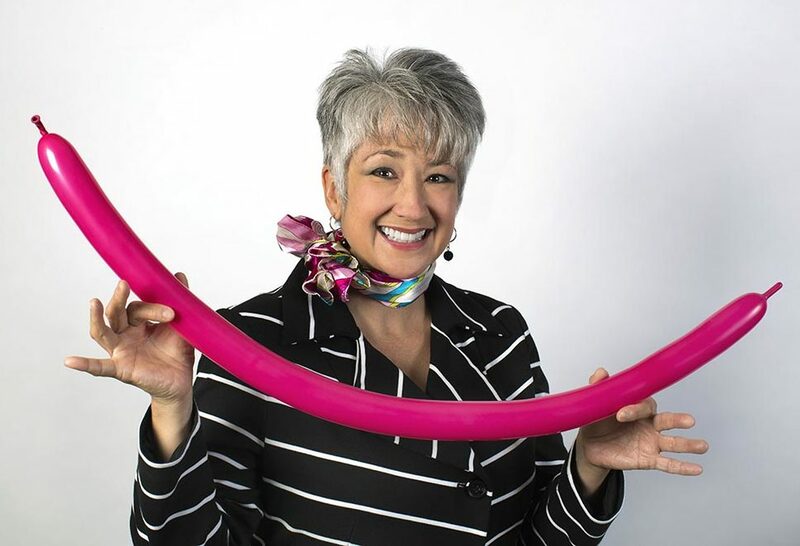 At Whimsy we listen close and partner with our clients for multiple outcomes: to bring fanciful and fantastic ideas & imagination to life, to increase attendance, and to satisfy beyond expectations. 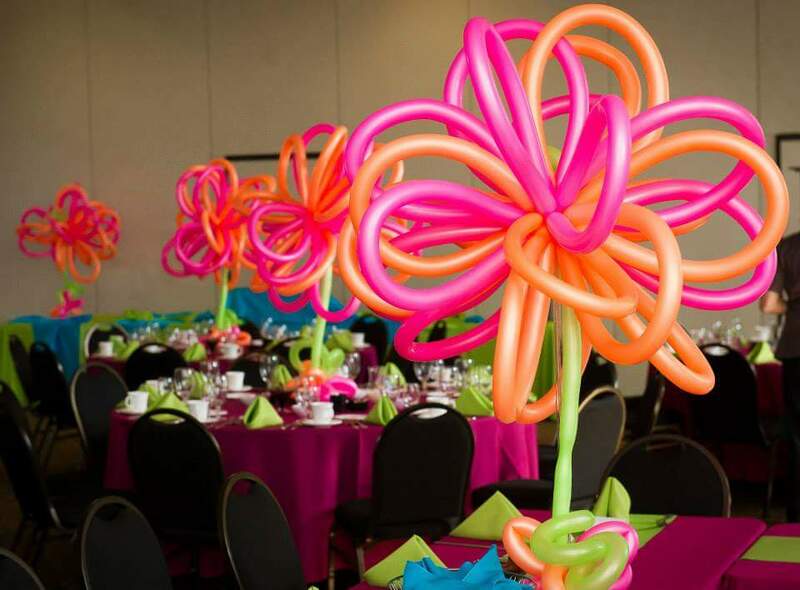 From Fortune 500 companies and non-profits to banquets and backyard bbq’s, we add distinctive vibrance to everything we do. Whimsy’s Tabletoppers & Deliverables represent new heights in event art. 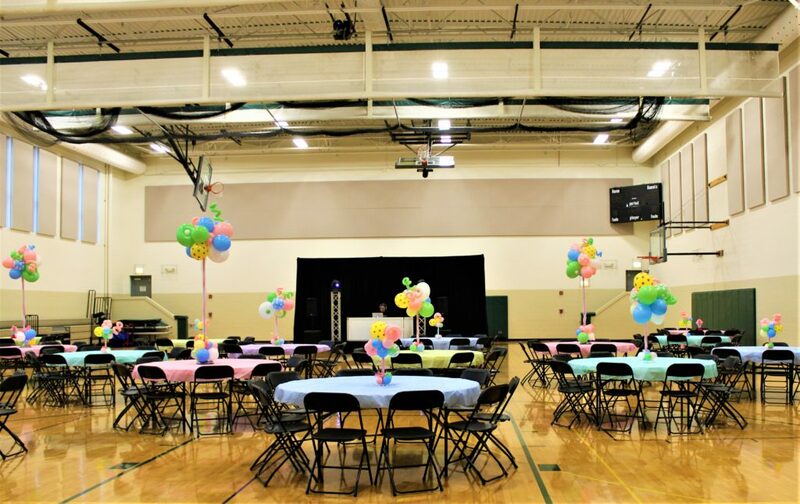 Space-efficient, high-impact, and fun, Tabletoppers are perfect for events from corporate seminars and conferences to bar/bat mitzvahs and birthday blowouts. 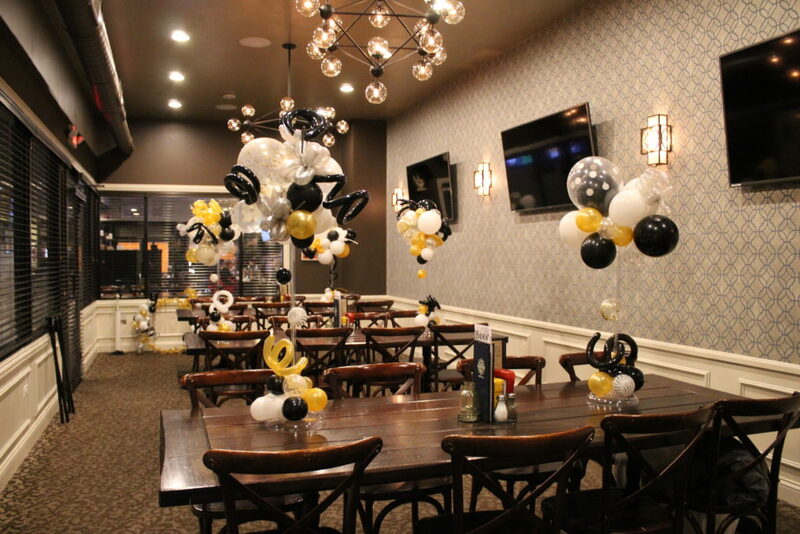 With endless customization options and configurable sizes and shapes to fill any room, big or small, Tabletoppers are flexible decor solutions that can meet any event requirements. Need to be able to view the stage? Tabletoppers can be designed taller or shorter to fit each table’s viewing angles. How about a raffle prize? Tabletoppers work just as well in the home as the office. Does your event have assigned seating? Tabletoppers can label spaces or hold name tags. 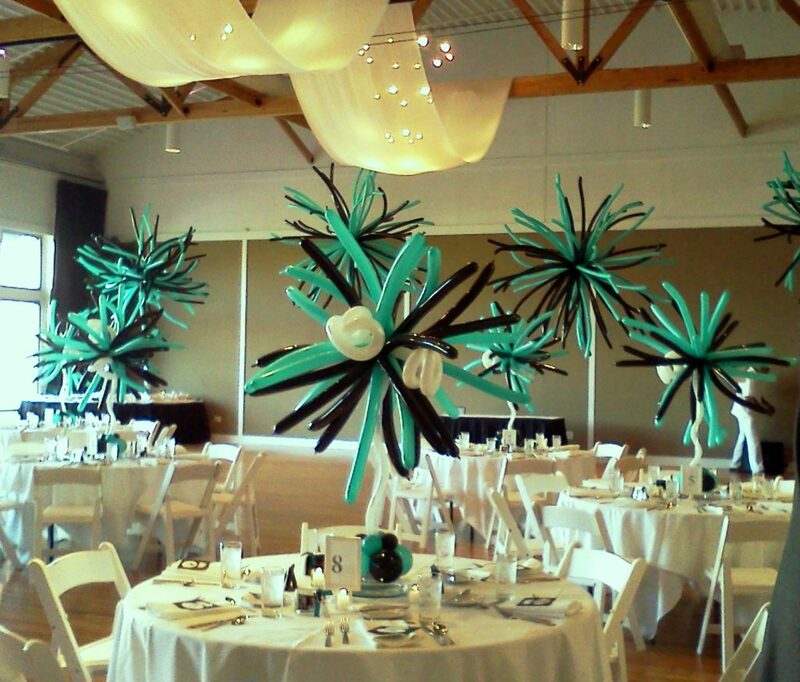 Tabletoppers are sure to be more than just a crowd pleaser – they’ll be a draw themselves at your next event. CHALLENGE: The Field Museum of Chicago needed an interactive decor set piece for the birthday of the world’s most famous T-Rex, Sue. CHALLENGE: The North Shore school required a long-lasting, highly-vertical installation for their two-story atrium. 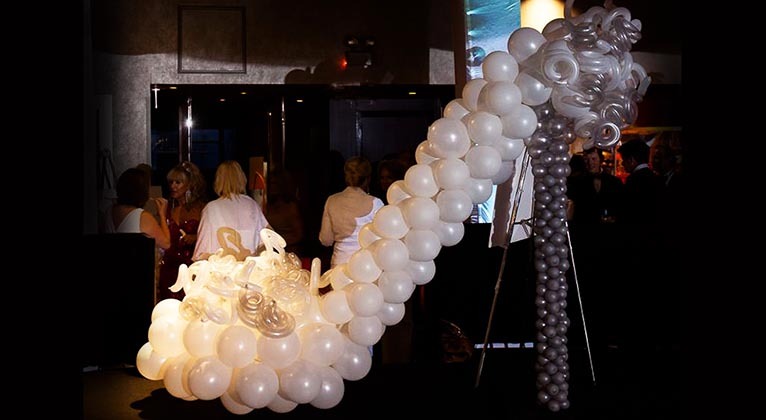 The piece would need to last for two weeks and be the centerpiece of a major fundraising gala. 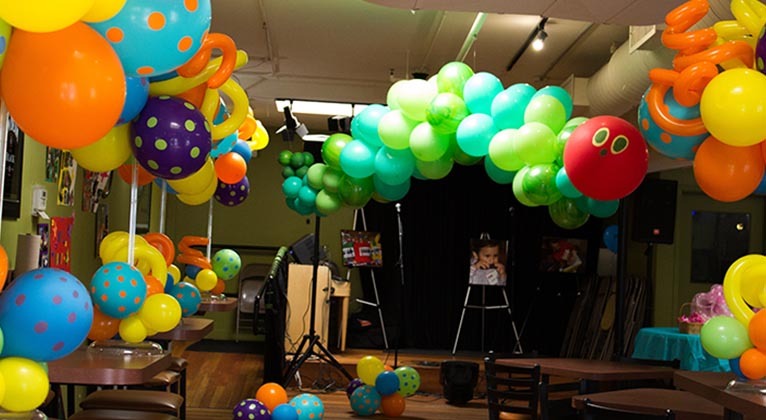 CHALLENGE: A children’s literacy charity needed highly-compact, lighthearted decor for a yearly fundraising dinner held at a large country club. “Using Holly’s designs for two events this year was the best thing Words on Wheels could have done. She created an assortment that was incredible and working with Holly exceeded our expectations.” ~ B.R., Words on Wheels Inc. CHALLENGE: Creating centerpieces for a bat mitzvah that were classy yet fun, unique and matched the invitations. 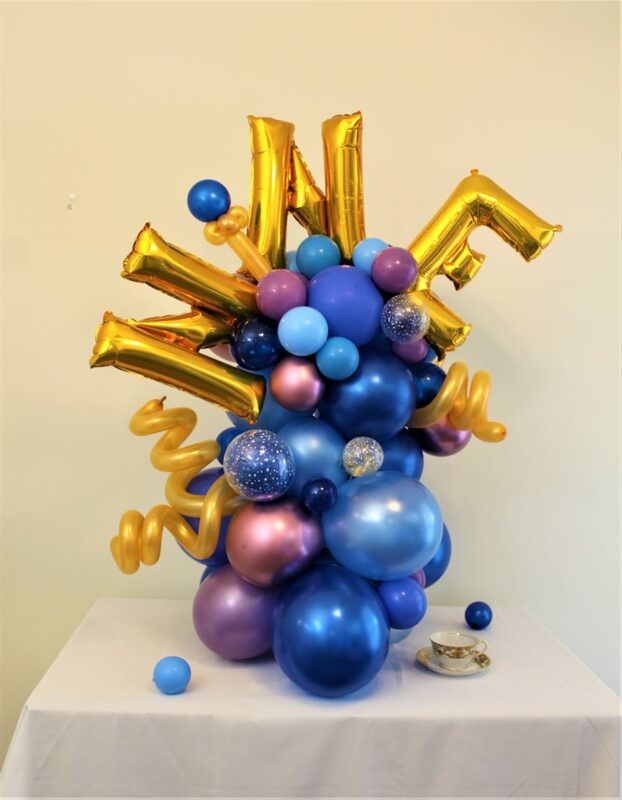 Whimsy was founded by Holly Nagel in 1997 (aka Twist n Shout), with the philosophy that the visual POP and reaction provided by balloon art is pure joy and can provide ambiance, elegance and is a great way to energize a crowd for any party, celebration or sales event. 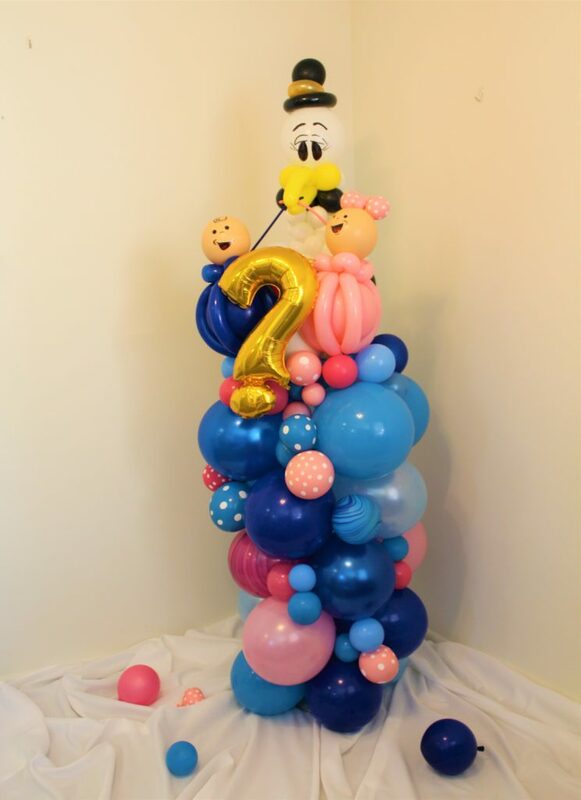 All materials used are biodegradable or recyclable, which means helium is not used as it is not a renewable resource. There are so many other ways to fill space with decor! We work with all ideas, whether they’re coming from an organized committee or napkin doodles. Let us know how we can partner with you to make your next event amazing. Invite WHIMSY, people will talk! We'd love to partner with you. Tell us about your event and ideas!